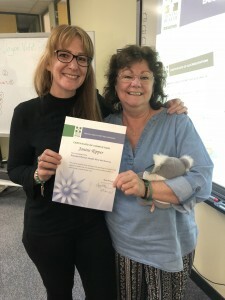 I recently completed the Mental Health First Aid course through the Mental Illness Fellowship of WA and I’ve got to say – it was well worth it! I’ve been wanting to do the Mental Health First Aid (MHFA) course for a few years however never had the time, finances or opportunity. With space opening up in my life as well as changing priorities, I finally set aside two days to dedicate to the course and to learn more about mental health and mental illness (other than what I had personal experience with), as well as some early intervention skills, most importantly – how to provide emotional support, hope for recovery, and practical help. 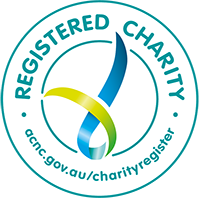 I chose to complete the course via the Mental Illness Fellowship of WA (MIFWA), as the Midland location was convenient to me, plus I had heard good things about the organisation and the work they did, as well as the trainer, Joyce Vidot. Firstly, a bit about MHFA for those not in the know. MHFA is the help provided to a person who is developing a mental health problem, or is in a mental health crisis. That is, until appropriate professional treatment is received or the crisis resolves. The Standard MHFA course is a face-to-face 12-hour course held over two days, educating people in how to assist someone who is developing a mental health problem or is in a mental health crisis. The course is comprehensive, covering the mental health problems of Depression, Anxiety, Psychosis and Substance abuse, as well as mental health crises including suicidal thoughts or behaviours, non-suicidal self-injury, panic attacks, traumatic events, severe psychotic states, severe effects from alcohol or other drug use, aggressive behaviours, eating disorders, and gambling. You also learn the signs and symptoms of these mental health problems, where and how to get help and what sort of help has been shown to be effective. Based on International MHFA Guidelines developed using consensus of mental health consumers, carers and professionals from English-speaking developed countries, participants receive a copy of the Standard MHFA Manual to keep as well as a Certificate of Completion. After successful completion of a short online exam post-course, participants also become Accredited Mental Health First Aiders. I got a lot out of the course – both personally and professionally. Joyce, our trainer, was down-to-earth, knowledgeable, friendly, funny and approachable. She really helped people to connect, build rapport and open up over the two days of training through group activities, role plays, videos and stimulating discussions. The course materials were thorough whilst being easy to follow and understand, and are a great take-home resource for future reference. With some serious topics to cover, it was done openly and respectfully, whilst also being considerate of everyone’s own personal journeys and energy levels. We had been warned both in advance and throughout the course that it would be exhausting and that we would need to practice some self-care both throughout and outside of the course, which was a welcome and needed reminder for many of us juggling busy lives. Although absolutely exhausted from the two-day course, I also felt refreshed from attending a course whereby everyone who was in attendance was there to genuinely learn and talk openly about mental health and mental illness. This in itself was enlightening and such a positive sign for mental health awareness. I walked out of the two-day Standard MHFA course happy to have connected with some great people, to have learned more about mental health and mental illness, and to be on my way to being an accredited Mental Health First Aider. I felt better equipped in supporting others experiencing mental health problems or crisis, as well as more confident in my current job role in marketing for a mental health promotion organisation. I highly recommend that everyone complete this training. I mean, if someone with 25 years of lived and learned experience with mental illness can learn more about mental health and mental illness, then we all can! Check our MFWA’s website for the training courses and workshops available near you.